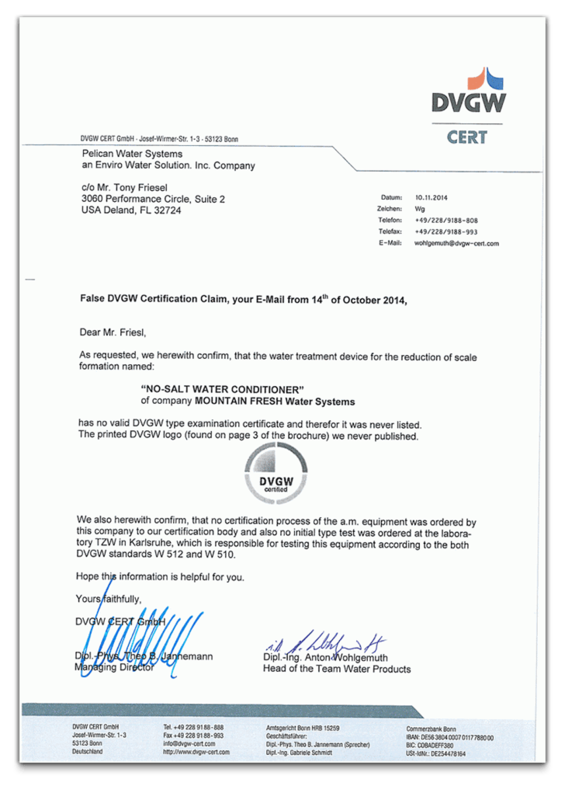 EnviroSoft™ is the only salt-free media to earn the DVGW 9191 Certification. 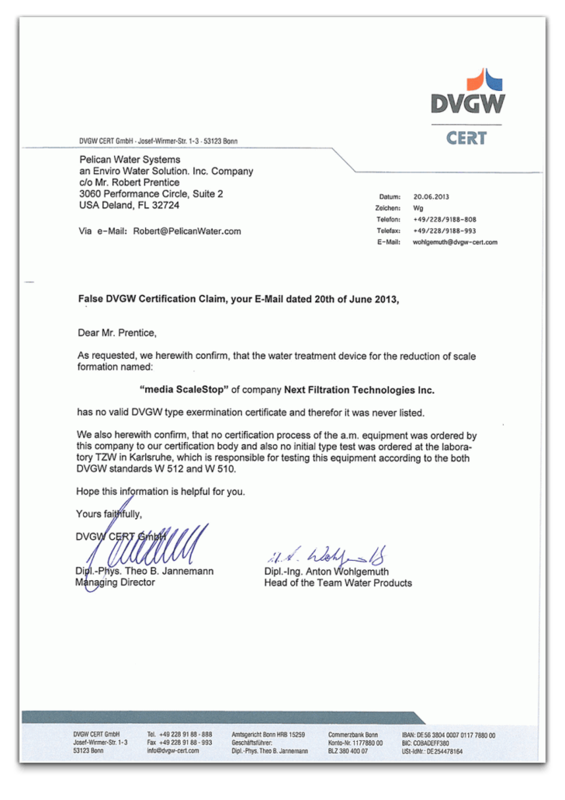 No other product in North America has successfully passed this stringent testing. 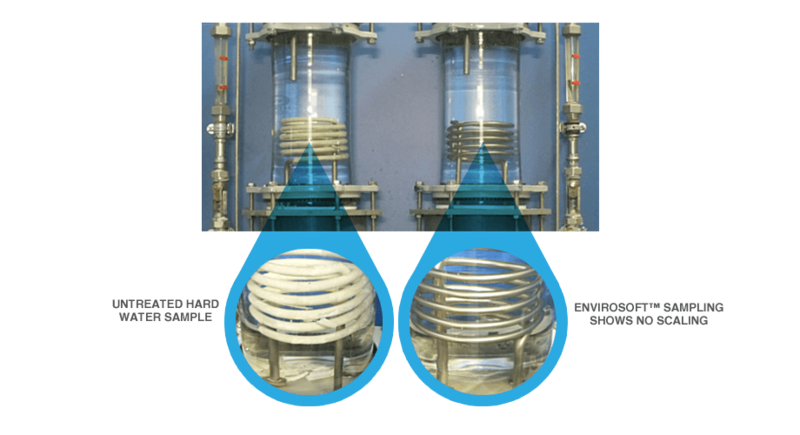 DVGW is the most stringent testing lab for water and gas worldwide and has been in business for over 200 years. 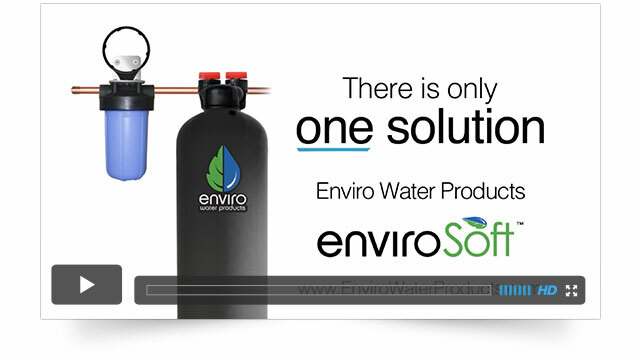 No laboratory tests or certifies for scale prevention in the U.S.
EnviroSoft™ has been certified to 99.6% scale prevention (80% necessary to be certified by the DVGW). No other product in North America has successfully passed this stringent testing and no other salt-free product can legitimately make this claim. Using DVGW 9191 protocol to measure scale prevention over the period of 21 days. This test simulates a family of four’s typical annualized water usage. 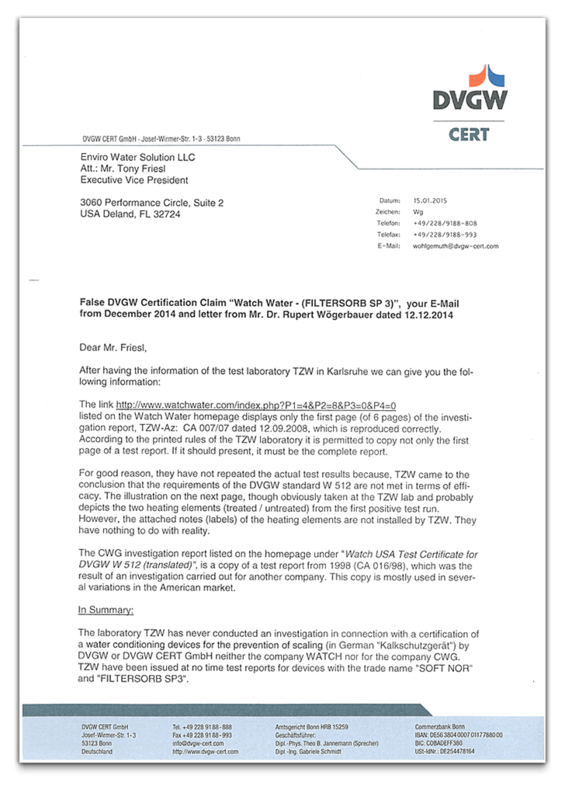 The DVGW, being a German based organization, does not pursue false use of it’s trademark in the United States. Many of our competitors know this and have used either the DVGW logo or the 99.6% dishonestly. 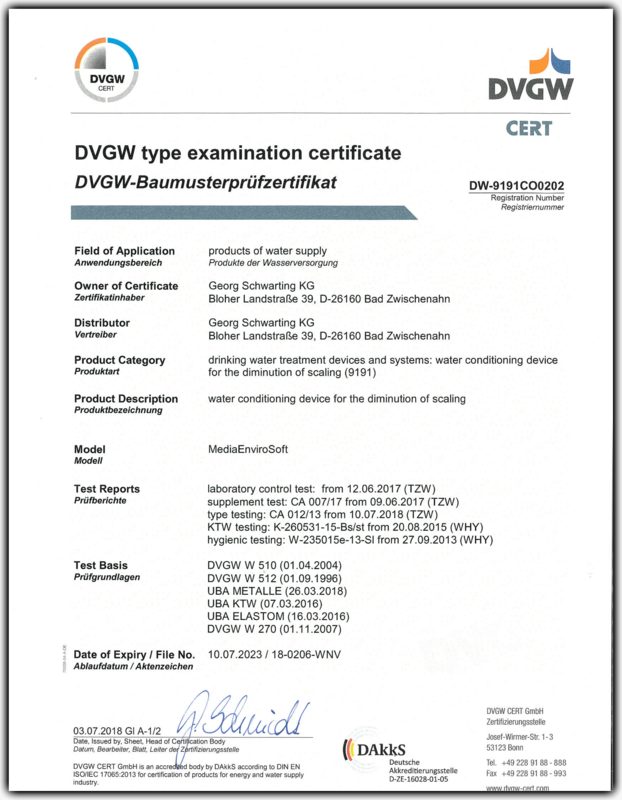 Always ask for an authentic DVGW certificate. Ours is proudly displayed at the top of this page.